Many people would love to stay at a 5-star hotel that includes under-floor heating, embroidered linen, bespoke climbing trees, outdoor balconies with panoramic views along with massages and gourmet food served on fine China. Of course, you can only stay at place like the Ings Luxury Cat Hotel if you happen to be a cat. 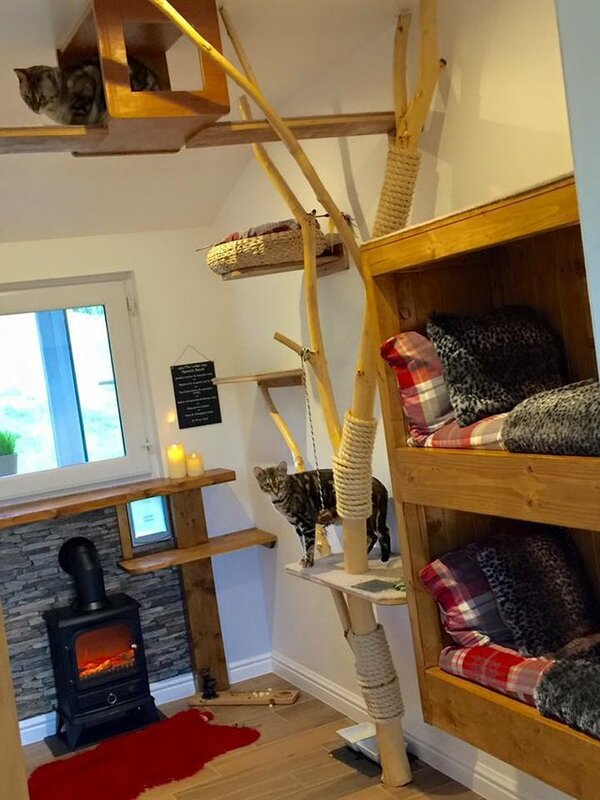 The Ings Luxury Cat Hotel offers twelve suites that include plenty of treats, bedtime stories, and climbing trees along with outdoor cat patios so felines can investigate the outside world in safety. Each suite also includes 42-inch flat-screen TVs showing fish tank, bird and mouse scenes. To learn more about this luxury hotel for cats in England, click here.